Let's create an engagement ring. 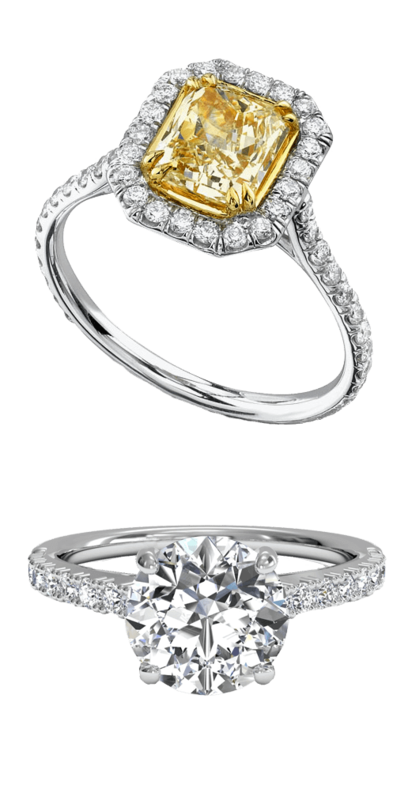 Choose from a wide selection of ring settings, or create your own custom engagement ring at competitive prices. Meet with a diamond wholesaler in New York City, who will help you find a diamond, design a CAD and create the ring of your dreams. Unlike traditional jewelry stores or online retailers, OnDiamonds helps you find the most brilliantly cut diamonds with no risk and at a reasonable price. Avoid surprises and never compromise on size or quality. Cut the middleman and deal directly with a wholesaler. Our customers fuel our creativity, and any ring design idea becomes a reality by our skilled master jewelers. Choose between platinum, 14K/18K white, yellow, or rose gold for your ring. If your setting is set with diamonds, we will match their quality to that of the center stone you pick. Mix and match between popular styles, or come up with something completely new - the choice is yours. 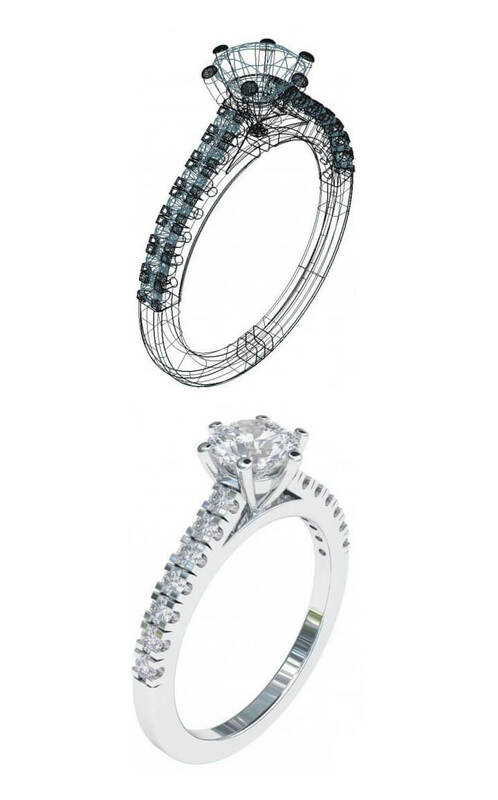 Once your design is outlined, one of our artists creates a computer-aided design of your ring. You are free to make any adjustments or changes at this stage. We then create a wax model of your ring prior to casting it. At this stage, only the finger size is adjustable. Once the ring is cast, the diamonds are set and the metal polished. Future maintenance, such as cleaning and sizing is available at no additional cost as part of our lifetime warranty. Choose from hundreds of ring designs - from classic 6 prong solitaires to delicate micropavé settings - OnDiamonds carries them all. We stand behind the products we sell. Each piece of jewelry bought from us comes with a lifetime warranty. Bring your ring or other jewelry for cleaning or polishing, ensuring they'll look as shiny as the day you bought them. We will size your ring free of charge for as long as you own it. We also rhodium plate your rings when needed. Should any of the small diamonds in your setting become loose or fall out, we will replace them at no additional cost. or call (888) 566-3426 now. Copyright © OnDiamonds. All rights reserved.